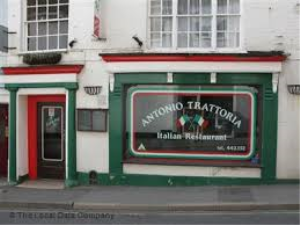 Antonio's Trattoria01297 442352work RestaurantFamily run Italian Restaurant offering delicious home cooked Italian dishes. For a true taste of Italy. Come and visit Antonio's!